You can click on the link up there (or the picture) if you need a more in depth look. I read through the article and caught a video on the internet news show The Young Turks regarding this chart and, I am happy to say… possibly the happiest I have ever been to say… that I was wrong. There is still part of me that likes the idea of the death penalty. There is a hard-nosed, black-and-white side of me that says in certain circumstances, certain one million-to-one-circumstances, it is prudent to sentence a person to death. It is the cold logic section of my brain that says this: if a person is so badly mentally damaged that they are beyond any sort of rehabilitation, when there is literally no hope to keep them from doing terrible things to other people, then we are bound as a society of laws to do whatever we can to remove that flawed variable from the equation. However, life is not an equation. And we, as humans, try as we might, cannot ever hope to replicate the perfection of a simple equation such as this one. When in previous years I would have said that America had the right to kill those wrongdoers who are irrefutably guilty and irredeemably abhorrent, my continuing study has concluded that, as fallible creatures, we are too often convicting, sentencing, and killing the wrong people. Some of these people could be rehabilitated, some of them could be saved, and most importantly some of them could be innocent. Information coming to light recently is not only telling the American public more and more that we are executing the wrong people, but that our execution methods are becoming more and more barbaric. In short, we are failing the test set down in our constitution’s Eighth Amendment: we are engaging in cruel and unusual punishment. As such, we cannot continue with this. Until the system can be perfected, I see no reason, moral or otherwise, to continue with the current practice. If we cannot pass the tests we set down for ourselves, we do not deserve to continue. We have forfeited our right to do so. It is not longer the prudent option, and it is not longer the most economical option. America is among the last of the developed countries to still use the Death Penalty, and the reasons are becoming more and more clear. 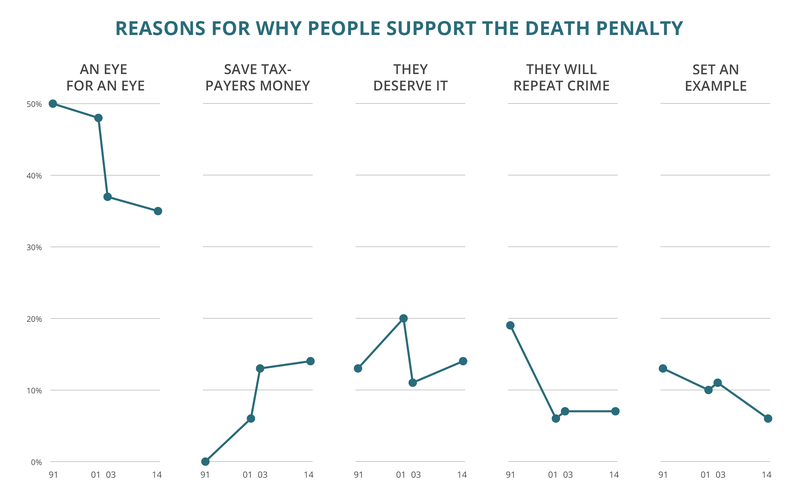 Despite a misinformed public that believes the opposite (and until recently I counted myself among them), the Death Penalty is far too imperfect and to be used in any good faith in today’s United States of America.